LOS ANGELES (AP) — Some of the valuables found hidden in abandoned lockers on A&E's "Storage Wars" have been added by producers to deceive viewers, a former cast member of the show claims in a lawsuit filed Tuesday. David Hester's suit claims producers have added a BMW Mini and newspapers chronicling Elvis Presley's death to lockers in order to build drama for the show and that his complaints about the practices led to his firing. Hester is seeking more than $750,000 in his wrongful termination, breach of contract and unfair business practices lawsuit. A&E Television Network declined comment, citing the pending lawsuit. "Storage Wars" follows buyers who bid for abandoned storage lockers hoping to find valuables tucked inside. "A&E regularly plants valuable items or memorabilia," the lawsuit states. Hester's suit claims he was fired from participating in the series' fourth season after expressing concerns that manipulating the storage lockers for the sake of the show was illegal. He claims that producers stopped adding items to his units after his initial complaints but continued the practice for other series participants. The lawsuit alleges entire units have been staged and the practice may violate a federal law intended to prevent viewers from being deceived when watching a show involving intellectual skills. "Storage Wars" depicts buyers having only a few moments to look into an abandoned unit before deciding on whether to bid on it at auction. The lawsuit claims some of the auction footage on the show is staged. Hester, known as "The Mogul" on the show, has been buying abandoned storage units and re-selling their contents for 26 years, according to the suit. 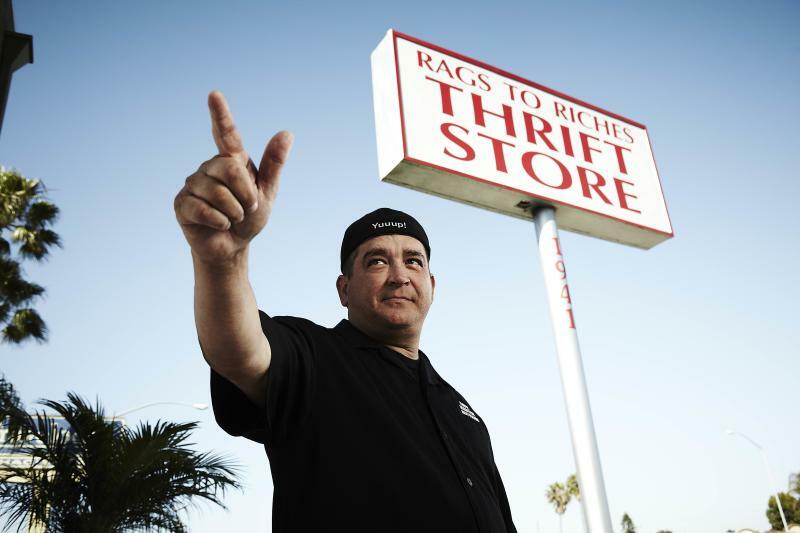 Nielsen Co. has ranked "Storage Wars" among cable television's top-ranked shows several times since its 2010 debut.